For thin, fine or colored hair. Vitamin B, E & F extracts fortify and protect. Chamomile and jojoba soothe, soften and nourish hair. Wonderful shampoo for fine, fragile, color-treated hair. Cleans gently, adds volume and shine, has a very subtle scent. This is the best shampoo for me, I have used for over four years and it keeps my hair shiny and soft. Always meet my friends they say my hair look very good, so I suggest my friends you try it. Gentle. Does not strip the color and moisture from your hair. I use this with the pre-shampoo treatment oil as well as the orchid hair mask. Recommend. The best shampoo! If you have dry, color-treated hair (who doesn’t I ask?) Bain Vitalisant B is the shampoo for you. Although it’s more expensive than I usually spend, it’s well worth it. It keeps my hair shiny, soft and my color really seems to last, and last, and last…I use this every other day on my hair and can honestly say it has improved the look and feel of my hair. Thx Leonor Greyl! So happy to have found Leonor Greyl. If I hadn’t seen it mentioned in so many magazines I would never have known how wonderful these products are. With so many lines to choose from it’s always been a bit intimidating – but now I will look no more! 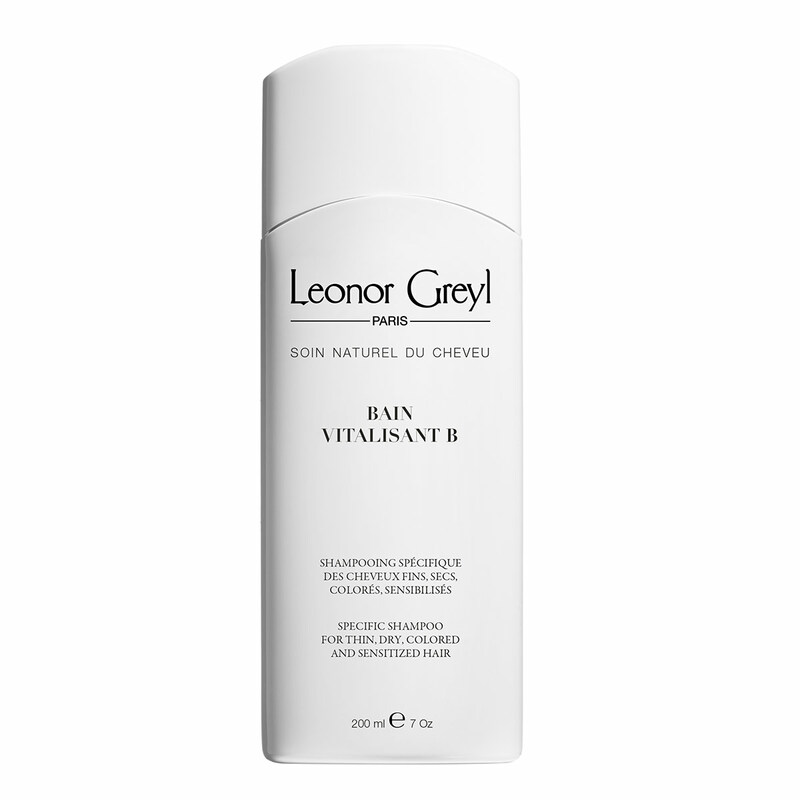 My faves are the Bain B Vitalisant with the Crème Regeneratrice & the Eclat Naturel styling cream – perfect combo for my colored, dry hair –although you would never know. Created in 1979, Bain Vitalisant B was one of the market’s first ever shampoos for colored hair. In an age when hair was subjected to aggressive blow-drys and coloring, Jean-Marie Greyl came up with a solution for caring for hair damaged by relentless coloring. The result was Bain Vitalisant B, a shampoo packed full of jojoba oil and avocado extracts to tone sensitive hair and revive color.